Cylindrical lock-sets can be referred to as “key in lever” or “bored locks. A cylindrical lock-set consists of multiple spring cassettes. There is a pair of levers, the cylindrical assembly, and a latch bolt unit. These levers are attached to assembly and the latch bolt is moved whenever the handle is manipulated. The cassettes allow the handle and latch bolt to return to their original positions for later use. The 4600 series cylindrical locks are commonly using in commercial applications. This is because they are both affordable and relatively easy to install. The 4600 series conforms to ANSI/BHA Grade 2 standards and has been rigorously tested. The 4600 series cylindrical lock sets come in two separate varieties, the 2-3/4” or 2-3/8” inches. The cylindrical door locks function with an internal lock. The internal lock inserts and removes a metal bar that shifts the position when the handle is shifted. The lock serves as a stand-alone or can be paired with other systems. The 4600 series was designed with versatility in mind. There are a number of applications this assembly can be used. This is ideal for easy integration into existing systems and is also suited for quick removal or replacement. The 4600 series can be used in all types of commercial settings, including lavatories, bathrooms, commercial offices, storage rooms, utility closets, institutions and classrooms. The primary advantage is that it can be easily replaced without disturbing the bolt work hardware. The cylinder can be removed with a screw once the cylinder has been removed. The additional flexibility allows the master-keyed or a keyed-alike system. 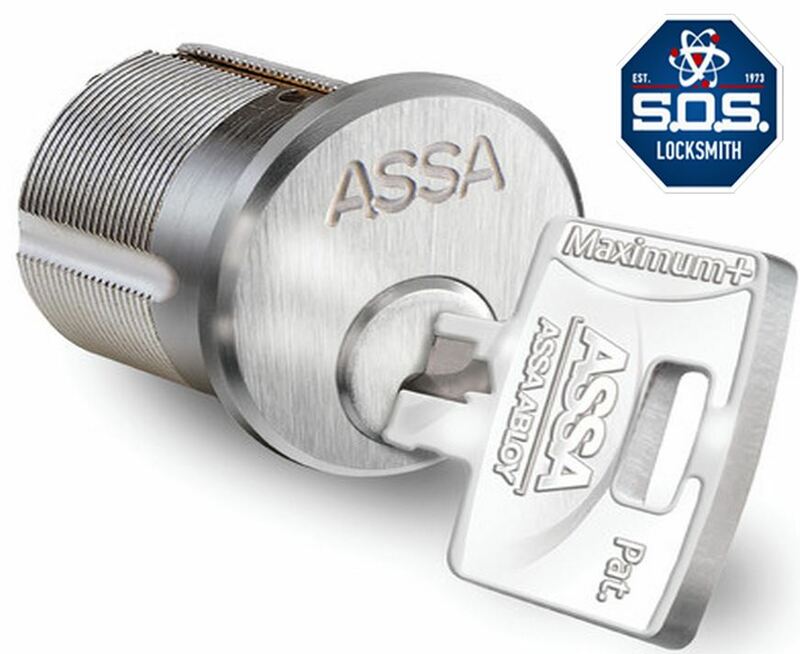 The design of the cylinder lock assembly can be integrated with padlocks. This type of lock is sturdier than the tubular lock set. Replacing and re-keying are much easier with this profile. These locks are installed in a minute or less in most cases and are easily adapted to multiple through-bolt orientations. The door handles are unscrewed with ease at the base of the handle with a flat headed screwdriver when it has been removed. The internal lock functions as a standalone or can be paired with other components, making it a cost-effective means to upgrade an existing system. All units come with a three-year mechanical warranty and are certified. These locks are fit for commercial applications and settings like schools, warehouse, retail stores, factories and retail settings. The 4600 series cylindrical locks are highly adaptive, sturdy profiles that are perfect as a standalone or as a part of an existing system.